Throughout the year there are many events that are recognized to highlight resources, outstanding organizations and individuals that are advocating for awareness. 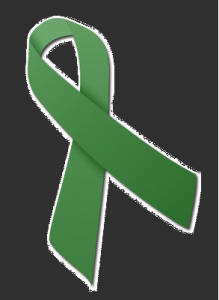 With March, comes Brain Injury and Traumatic Injury Awareness month. Brain Injury and Traumatic Brain Injury are often referred to as silent epidemics because despite being extremely prevalent all around the world, they are difficult to diagnosis and have limited resources for those suffering. These awareness months are opportune times to create campaigns that are beneficial from a blogger perspective – as well as for the cause. There are 1.7 million traumatic brain injuries per year in the United States alone. To put this number into perspective, the largest football stadium in the United States – Michigan Stadium – can seat approximately 110,000 people. This means that you could fill Michigan Stadium 15 and a half times each year with traumatic brain injury sufferers! This year, to bring awareness to Brain Injury there are many great organizations holding events and campaigns. In particular, there is one campaign that asks survivors, caregivers, doctors, advocates and anyone that is active in the Brain Injury community to tell their stories. The campaign features stories of Brain Injury survivors, and interviews with advocates and organizations in the brain injury realm. As a blogger, I particularly like being asked to be involved in campaigns for two reasons. 1) Being included in these campaigns allows me to write a blog post and gain awareness of my writing, and create more networking opportunities. 2) The main reason that I like being involved is because I care about the causes that I am contributing to! A lot of times as freelance writers, we write on topics we are familiar with but not necessarily the most excited about or interested in. However, in my experience, campaigns such as the Share Your Story campaign evoke a community of people that are truly passionate about the cause that they are writing for; which makes contributing even more fulfilling. Being a former caregiver in a nursing home, brain injury was something that I was familiar with and am passionate about. Later in the month, my story will be featured in the campaign so please, check out it out!